On set FALL INTO ME: DELICIOUS an original 1 hour script I wrote in 2015 for Lifetime online. I've written copy for every Pixar campaign from Monsters, Inc. to Inside Out. At the Red Cross in Lima, Peru interviewing an emergency worker. My line for the JUNO trailer also made the one-sheet. Interviewing a local 13,000 feet up in the Andes, Peru. what’s the simplest, most surprising, and most effective way we can say it? I’ve done a lot. I’ve got more than 12 years experience as a writer/producer in motion picture advertising, including over 8 on staff at a busy, award-winning agency. Recently I’ve been the Creative Director for a film and television production company, a role which had me regularly pitching and revising a wide range of projects and working with writers and producers to make scripts better. 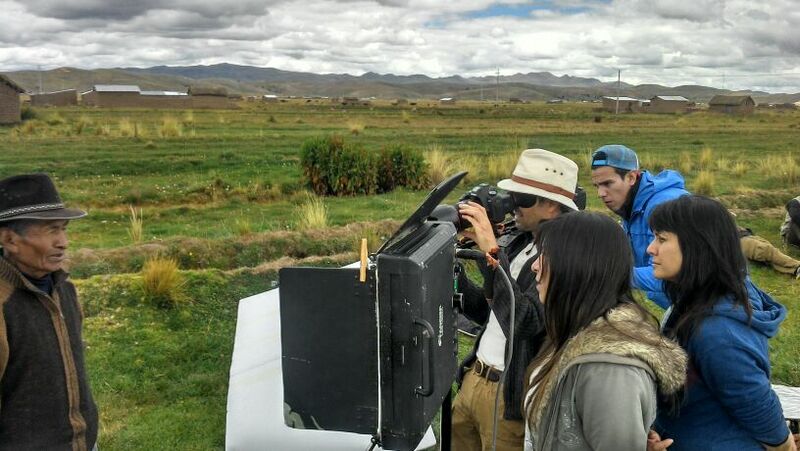 We also made a corporate doc in Peru and designed an 11 course online film school curriculum. I’ve worked in documentary, closely with Academy Award-winner Davis Guggenheim, and through it all, I’ve continued to write my own material. I’ve been heard on This American Life, performed stand-up all over LA, and summer 2015 I had an original 1 hour romance produced by Lifetime online. Through all of these experiences, I’ve learned story, inside out, backwards and forwards. And I love nothing more than working alongside smart, talented people to bring stories to life;pleased to meet you. You can email me at amanda@amandacreative.com. You can call me at 323-253-3599. I live in the Silver Lake neighborhood in LA with a romantic midwestern fella. and adore this wonderful 7 year-old girl in Brooklyn who calls me "Aunt Amanda,"
even though we're not related.